See all the collection videos here. 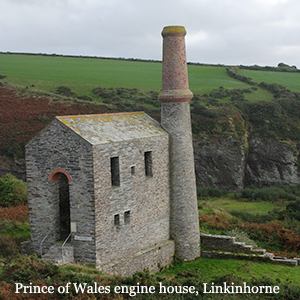 This collection focuses on Cornwall and West Devon’s mineralogical and mining heritage. The specimens it features are drawn from the collection of the Royal Institution of Cornwall (RIC) held at the Royal Cornwall Museum (RCM). This collaborative project involving the RCM, the Cornish Mining World Heritage Site and the Open University explores how access to the RIC’s mineral collection and the stories it can tell can be widened using digital technology. It includes radioactive minerals from Cornwall that would otherwise be inaccessible to the public for health and safety reasons. The RIC’s collection spans three centuries of Cornish mining and mineralogical-related activity and represents the portable evidence of the resources, people, places and events that shaped Cornwall’s scientific, intellectual and industrial development. The inscription of the Cornwall and West Devon Mining Landscape as a World Heritage Site in 2006 reinforces the international significance of the RIC’s mineralogical collection.